When you need to clean cork or bamboo flooring, shopping at 1877FloorGuy is a great way to find the right cleaning products, dust mops and more to keep your bamboo or cork floor in the best condition! 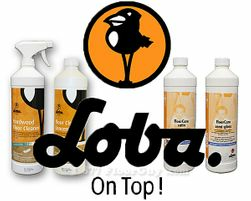 1877FloorGuy sells leading brands, including Bona and Loba, for cork and bamboo floor cleaning as well as appropriate flooring finishes for these unique looking floors. 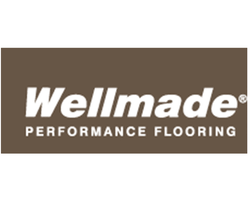 We have bamboo and cork flooring care essentials for Capri Cork, Wicanders, US Floors, Wellmade and other top cork and bamboo flooring brands at 1877FloorGuy. 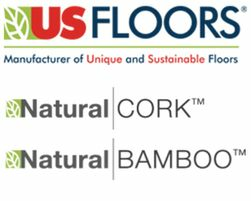 From top-quality cork floor cleaners to formulas designed specifically to restore bamboo, you'll find the solutions for your flooring brands here. 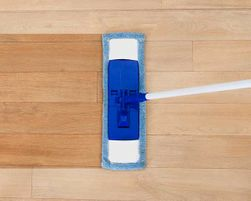 To choose the right wood floor cleaner for your cork or bamboo flooring, start with the flooring manufacturer's recommendation, which you should find in your floor maintenance instructions. It is often required to use their specified floor cleaner to uphold the floor's warranty when it's new. If the flooring brand is not known, choose a reputable wood or cork floor cleaner. 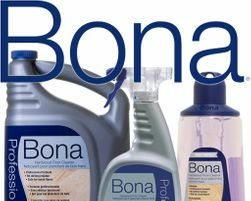 Bona, Loba and Arboritec are reliable floor cleaning brands that deliver excellent performance to safely clean cork, bamboo and other wood species of flooring. 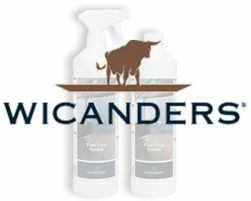 These popular brand wood floor cleaners are widely used in residential and light commercial floor cleaning. You'll find plenty of quality cork and bamboo floor cleaners by these brands in 1877FloorGuy's selection. 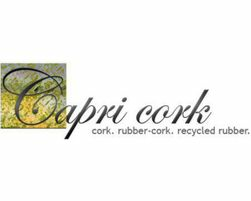 Cork and bamboo - in homes, retail spaces, business offices and the like - are treated much like hardwood floors when it comes to cleaning and maintenance. 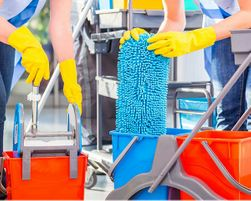 It's important to sweep the floor routinely to keep it free of loose dirt, use felt protectors on tables and chairs to prevent scuff marks and clean with a wood approved floor cleaning solution. 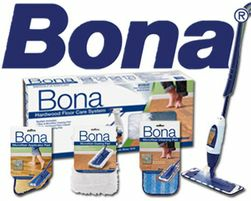 To do a good job of lifting dust and dirt, find a good broom, and even invest in a dust mop, Bona makes a good one, to keep dirt and dust from building up on the floor. To protect bamboo or cork floors from scratches caused by chairs or other furniture, use commercial grade felt pads to provide sufficient padding on the feet or base of chairs and furnishings to protect your bamboo or cork floor surface so it looks good long term. Even rolling chairs and tables can be fitted with protective casters. When moving heavy furniture or equipment, make sure to protect the floor with Masonite or use felt-bottom moving slides to make it easier to move items and protect the hard surface floor. Cork flooring in commercial applications is often a cork and rubber blend floor that provides a certain aesthetic, cushion and durability in exercise facilities, libraries, hotels, museums and other heavily used environments. These cork-rubber blend floors are maintained more like rubber flooring in commercial environments and use concentrated cleaning solutions and protective flooring finishes such as Hilway Direct or Spartan. When paired with a professional maintenance program and autoscrub equipment, large areas of cork-rubber commercial flooring can be maintained economically and in a timely manner. Always reference flooring manufacturer technical maintenance documents for the brand recommended care products and cleaning equipment that is right for your specific cork-rubber blend flooring. More rubber flooring manufacturers and care product brands can be found in 1877FloorGuy's Linoleum-Rubber Floor Care section. 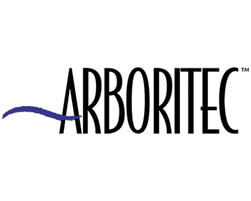 Customer Support at 1877FloorGuy welcomes your questions about cork, bamboo and cork-rubber blend floor care when you need help to find the right cleaning products for your home or facility. Whether you need cork or bamboo wood floor care products for your residential or commercial space, the team here at 1877FloorGuy is happy to help you find the right products. Call 1-877-356-6748 or send an email to help@1877floorguy.com.